From April 2015, JAVA has been running a campaign, End Animal Dissection from Schools. Despite our continued appeal to the Ministry of Education, Culture, Sports, Science and Technology (MEXT), the description on “dissection” still stays in the newly published Course of Study and its Commentary for schools. 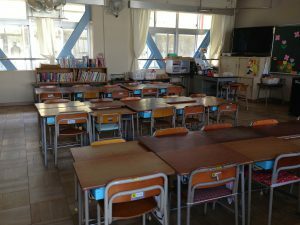 The standards for creating curriculums and textbooks at schools, namely elementary, middle and high schools, is based on the Course of Study, and its Commentary published by MEXT. To illustrate dissection as one of the learning methods in those publications is a big factor for schools not to stop dissection. For this reason, JAVA, during the campaign, has focused on requesting MEXT to delete “anatomy of animals” and “experiment using animals” (both including corpses) described as examples of the learning methods from those publications. Course of Study is supposed to be revised every 10 years. The latest work by experts for this revision took over two years from November 2014 to December 2016. During this period JAVA was actively lobbying at MEXT, while implementing various activities along with the campaign in order to inform the public that many schools still carried out dissection, wishing that we could be able to respond to voices of many people including children saying “I do not want to do dissection!” or “get rid of dissection from school”. A new Course of Study and its Commentary were published by MEXT by July 2018, but the description about “dissection” and “experiment using animals” remains in the Commentary except one deletion and two changes. Descriptions such as “dissection of fish”, “dissection of squid”, and “experiment on generation using sea urchin and rice-fish (medaka)” remains. A description of the hybrid experiment using drosophila was added. ・Observation of “chicken wings” was deleted. non-animal based materials such as data and statistics. based materials such as data and statistics. Following JAVA’s opinion, many schools have ended dissection, but this is our first campaign that we urged the authority to revise the Course of Study. We knew that “to revise the Course of Study is as difficult as to revise the law” but have done to the best of our abilities, even through trial and error. Yet, it was not enough. We thank you for your encouragement and support and sorry that we could not accomplish our goal. Nevertheless, we lobby for ending dissection at school completely as usual by talking to schools and increasing awareness of animal welfare so that we don’ have to wait next revision planned in next 10 years. Your continued cooperation is highly appreciated. 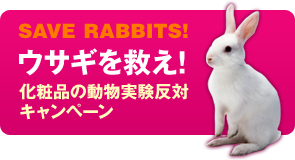 Copyright © Japan Anti-Vivisection Association.